Have you met Alphonse? Alphonse is a child from Rwanda who is receiving ongoing help through Compassion’s Highly Vulnerable Children’s Fund. That’s the fund that Ride for Compassion Coast to Coast is supporting. Ride for Compassion: Alphonse's Story from Compassion Australia on Vimeo. 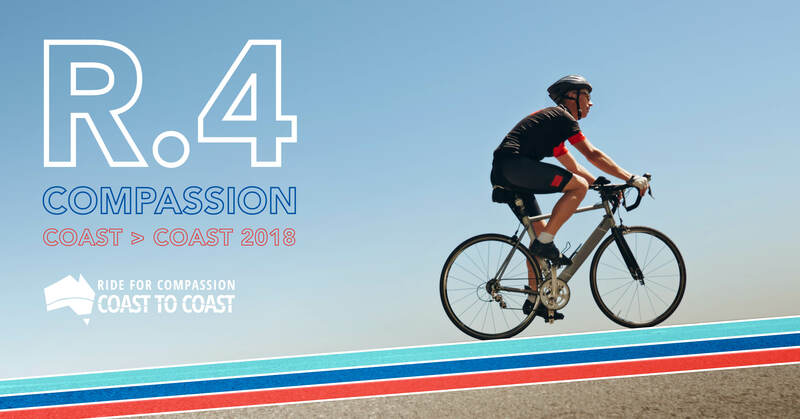 Today marks exactly two months from the first turn of the pedals on Ride for Compassion Coast to Coast. We’ll be riding for children just like Alphonse. The ride will start in Perth, Western Australia on Saturday the 15th of September. We will arrive at Compassion’s head office in Newcastle, New South Wales on Tuesday the 16th of October. There’ll be 28 riding days and 4 rest days. The average riding distance for those riding days will be just over 150 kilometres. Our longest days will be just under 200 kilometres. There’ll be around 25 cyclists and a support team of around 9. The team’s fundraising tally is currently stretching towards $250,000 with over 60 children sponsored but I’m sure we can go higher and offer a hand up to even more children. That first day’s ride between Perth and Northam will come so very quickly. Planning for this ride began some years ago and yet here we are, two months out, working towards that first day on the bike, then the second, then the third and so on all the way to the other side of the country. There are children, just like Alphonse, who through no fault of their own are living in the most unacceptable circumstances. We plan to make a difference for as many of them as we can by offering them a hope more powerful than poverty. So there is quite literally a long road ahead for me beginning two months from today but the journey has already begun. I’ll be doing my best to fulfil my responsibilities in training, fundraising and then riding. Will you support me on this massive venture?